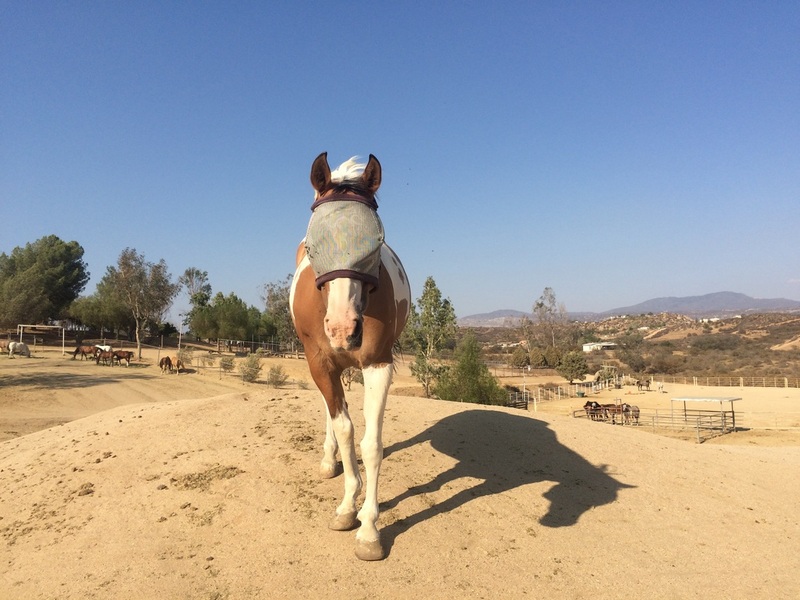 Sundancer is in need of a sponsor. Will you help? 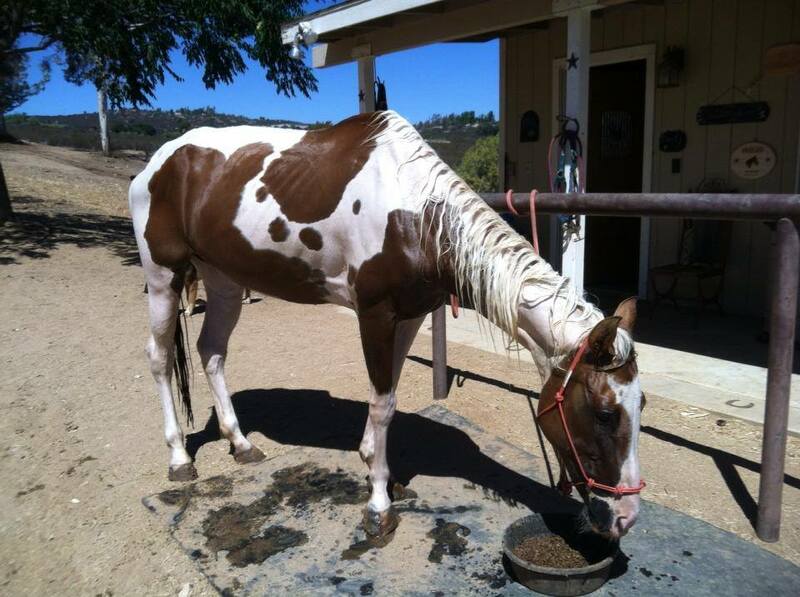 Sundancer is a mid to late teens paint mare. Toby's Legacy was contacted about a group of horses that appeared to be starved and neglected. They were not visible from the street so we took a hike. At first glance, they did not appear to be in immediate need of help, but on closer inspection several of them had body scores of 1-2. The most shocking aspect of her story is, her previous owners were very wealthy. She was tucked behind and out of sight of their million dollar home and luxurious lifestyle. Toby's Legacy contacted Animal Control and their prompt response led to the owners relinquishing Sundancer. 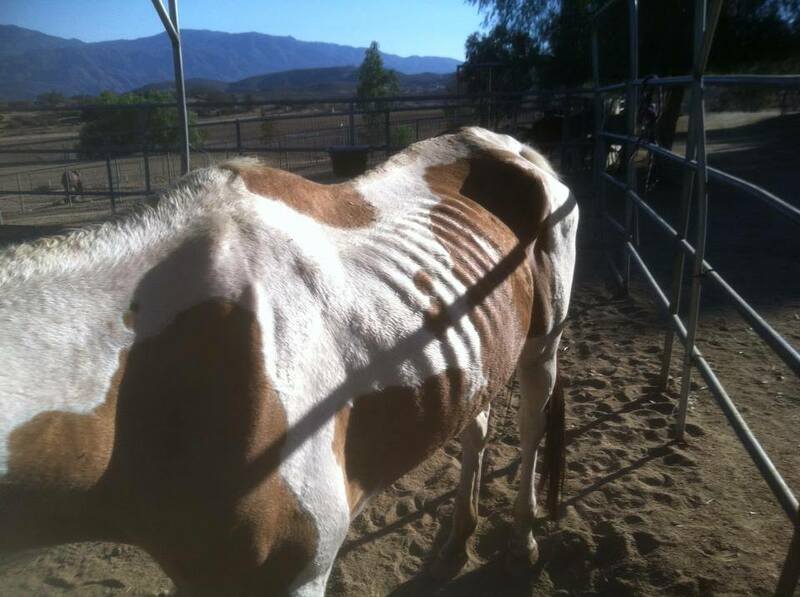 She arrived with a body score of 2 (emaciated), overgrown hooves, rain rot/sunburn sores, and badly neglected teeth. She has a front right angular limb deformity. 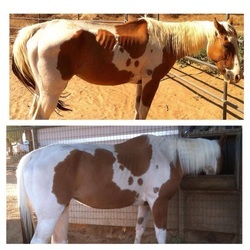 In less than a month's time, Sundancer has transformed. 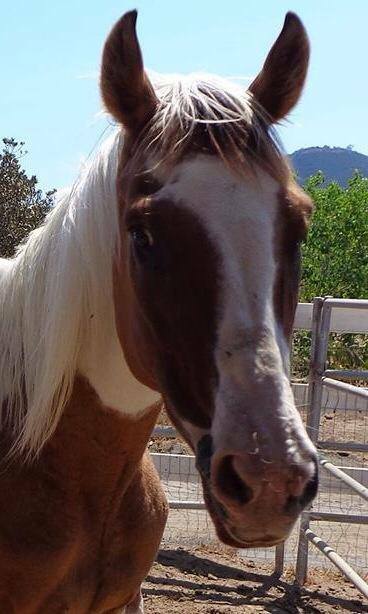 She is sweet but shy with other horses. 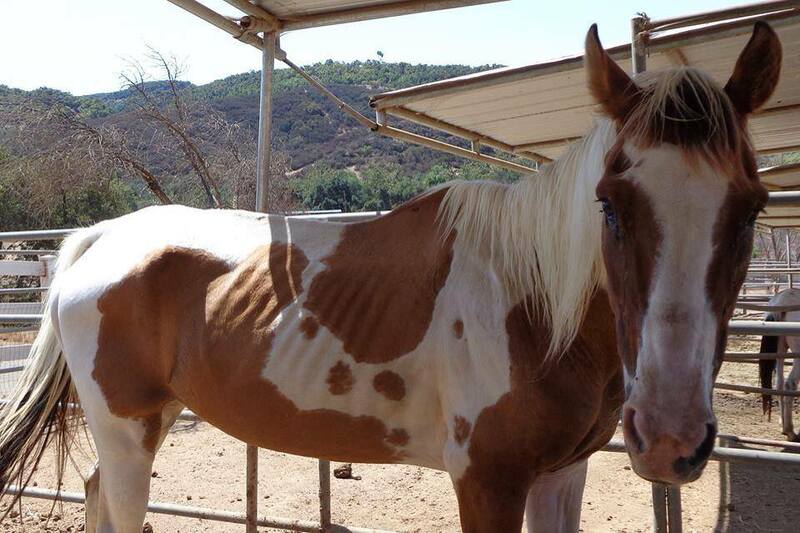 She knickers and will leave her food for your love, which is amazing considering she was starved. 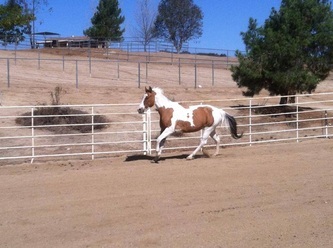 We adore her personality and her little quirks, especially her 'Flamingoing' where she holds her front leg up like a flamingo when she is excited. 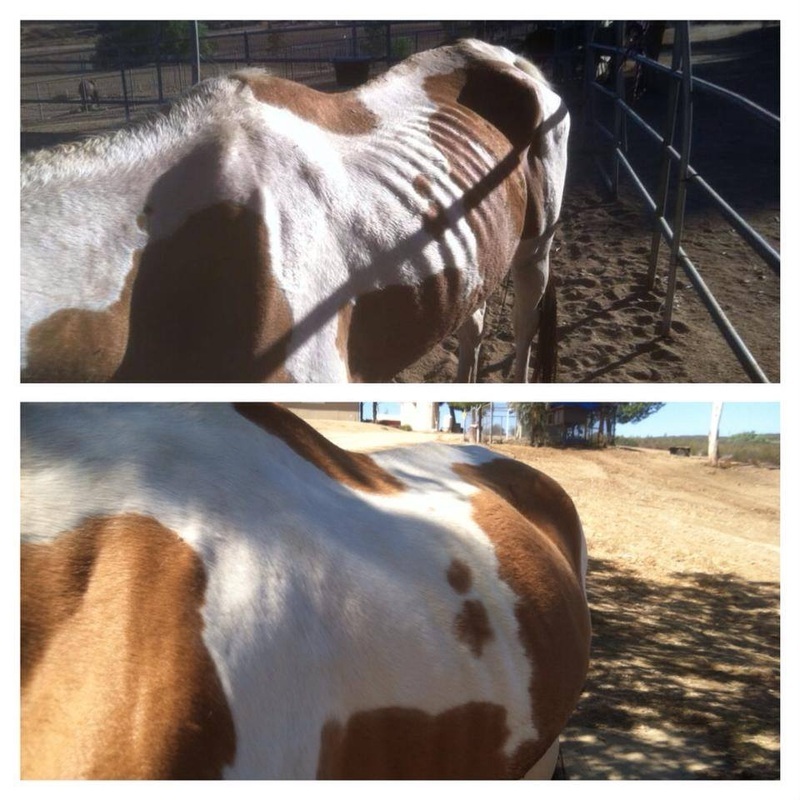 She has had her teeth floated, hooves trimmed, vaccinated, dewormed, and has put on 200 lbs. 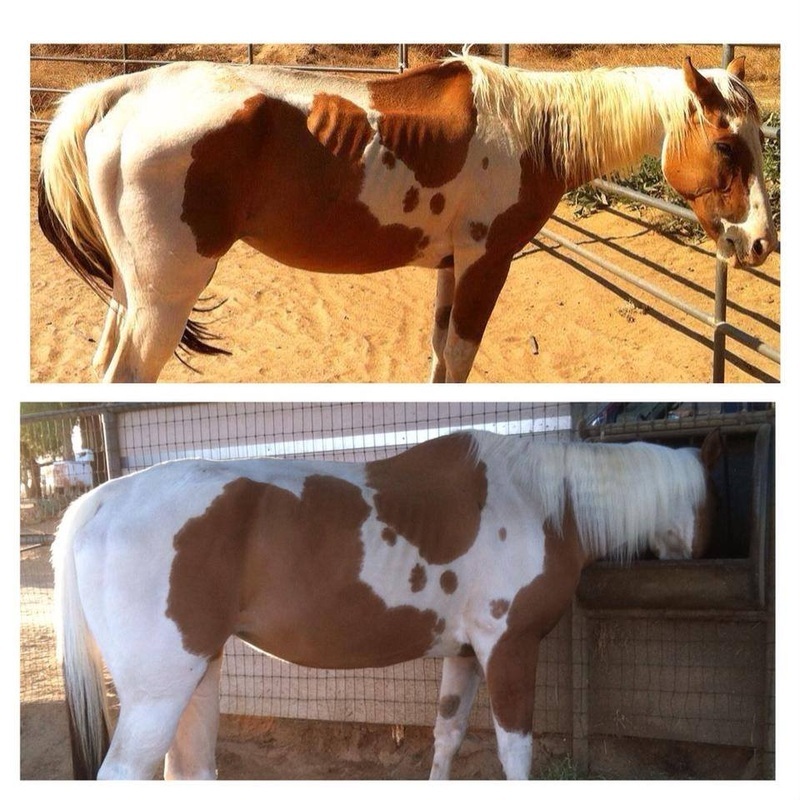 She looks like a different horse. 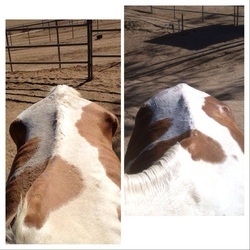 With this improvement, she is now ready to find her forever home. Is that you? 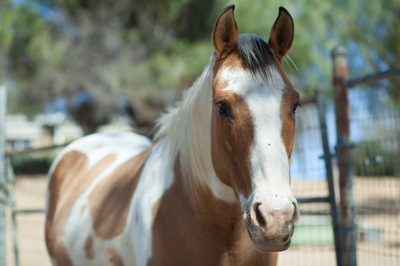 Sundance is looking for a home as a companion. She is very quiet and will sit for days to be brushed and pampered. She does require daily previcox and TLER will cover the cost of her previcox infinitely. RIP my 'Special.' 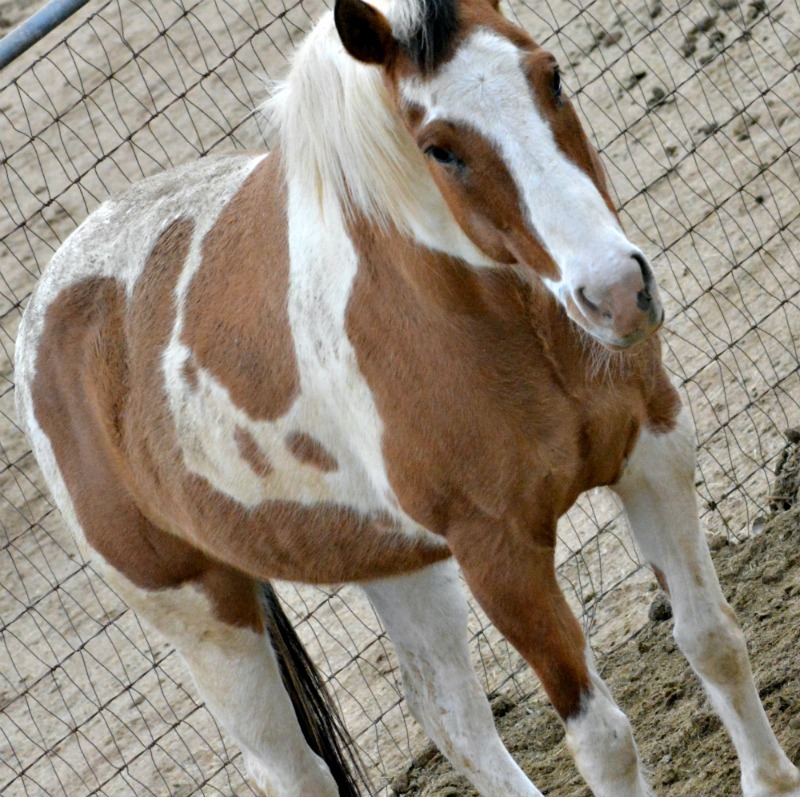 Sundance's crooked leg became too painful despite previcox and bute. We helped her across the Rainbow Bridge 9/19/2016. We love and miss you Sundance.